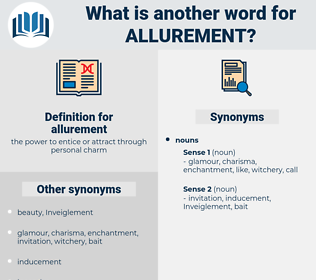 What is another word for allurement? forewarning, alert, caution, notice, warning, alarm. No allurement was capable of making him change his resolution. But much more frequently he is seduced from his great and important, but distant interests, by the allurement of present, though often very frivolous temptations. 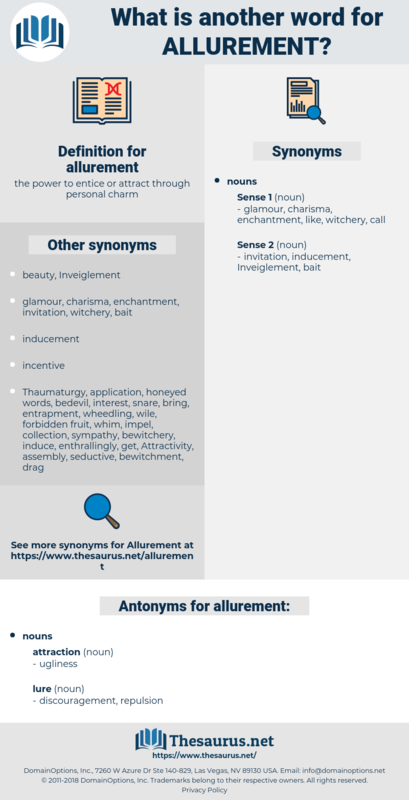 all-around, Aleuria Aurantia, all-round, alarmed.